Indeed, it is not intellect, but intuition, which advances humanity. I found it quite interesting that one cannot find these important words in Google but they are in Einstein and the Poet. Shame humanity is missing out on some on these brilliant thoughts. I personally have taken these words seriously and have guided my work in medicine with them. “There will come a point in everyone’s life where only intuition can make the leap ahead, without ever knowing precisely how. 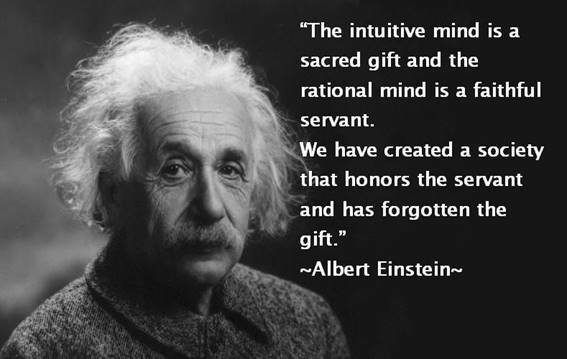 One can never know why, but one must accept intuition as a fact,” said Einstein. 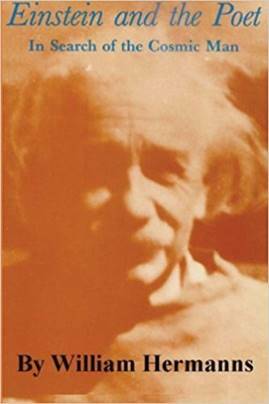 Einstein saw that intuitive perceptions were the most subtle and pure type of feelings. This is why intuition, the perceptual ability to know without knowing how you know, can be seen to arise through the heart. Meaning one has to have an open heart to be able to feel these pure types of feelings. And to have an open heart one has to be willing to be vulnerable. Natural intelligence and intuition are heightened when we learn to listen more deeply to our own heart’s simple feeling messages. The more we learn how to listen to our own heart the more we can learn to listen to other hearts and the easier it becomes to listen to life. We need to change just to listen.. Most people are horrible listeners and you can tell when people don’t listen when they interrupt, respond with yes buts, or simply change the subject. The worst kinds of non-listeners just never stop talking and they just don’t seem to care whether you want to listen or not. Usually we want to run from them but feel trapped by social conventions to be nice or polite. Life stripped of feelings is a life stripped of meaning. Saint-Exupéry wrote, “It is only with the heart that one can see rightly; what is essential is invisible to the eye.” What Saint-Exupéry was talking about is the heart’s capacity to feel, to intuit, for that is exactly what intuition is, the most refined of fine feelings. Our intuitive feelings are navigational beacons that play a crucial role in making those decisions upon which our destinies depend. Every feeling has its value and significance. They light up our paths of life. Pure feelings like intuition have no thought component like emotions do; there is no time for them in their most pure form. 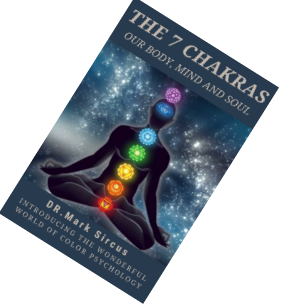 They come from a place beyond the thinking mind and they are often the most essential guides that steer our life. Intuition is a basic perceptual ability different from imagination, concept making ability or intellect. It is our God given ability to plug into the universe, which even insects have. It is more than instinct yet instinct and gut feelings are what it is all about.